To a degree, all external hard drives are portable. You can simply unplug them from a PC and go. That said, some are obviously more portable than others. 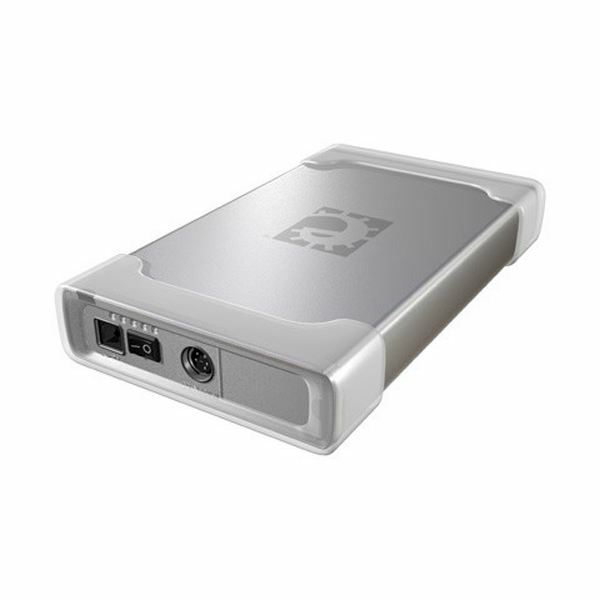 Massive 2TB drives are large and heavy, and many large drives require an extra power source in addition to the power received from a USB connection. Such large external drives are not a hassle when transporting them from one room in your house to another, but they’re too unwieldy to throw into a backpack or briefcase. That is where portable external hard drives come in. These smaller drives are typically only a little larger than a Blackberry and weigh less than a pad of paper. They also can be powered from a USB connection. Their capacities are less than more sizable drives, but they’re still capable of holding many more files than the typical ultra-portable notebook. Transcend is often considered a second-tier maker of PC storage products, thanks to a lack of fancy high-end products and a marketing department which seems to consist of one guy in a basement office. That said, Transcend’s products offer good value to those that want a basic, no-frills option with respectable performance. Such is the case with the StoreJet 25f, an uninspiring little black hard drive which could be easily missed when sat next to any modern PC monitor or tower desktop. The StoreJet 25f’s main claim to fame is performance for price. Tests indicate that the StoreJet has read and write speeds of up to 25Gbps, which is more than average for this class of external hard drive. This means backing up your files will be less of a hassle, and that the drive will feel quicker during everyday use. 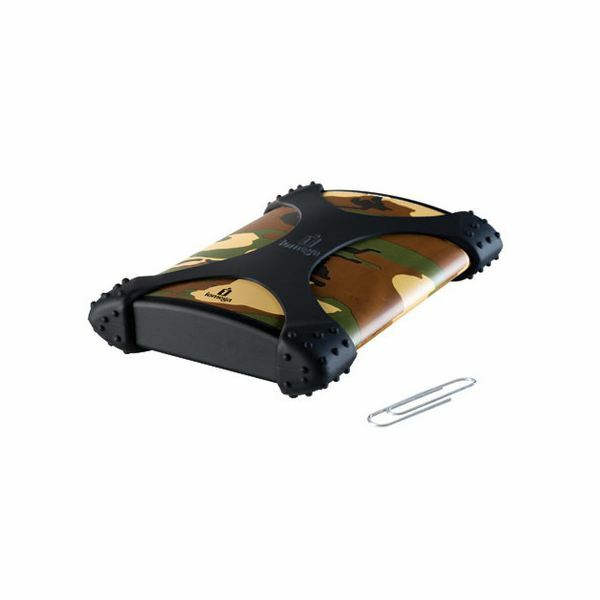 In addition, the Transcend StoreJet can be purchased at numerous retailers, including Wal-mart, for between $80 and $90 dollars. This is comparable to many other external drives, but those drives are slower. One growing segment of the external portable hard drive market is "rugged" products. Long-term memory is more reliable than ever before, and creating a small, durable case for a small drive is not difficult. The Iomega eGo is one of the better examples of a rugged portable hard drive. It is durable enough that the average user will find it indestructible. Dropping it onto a carpeted surface from any height seems no problem, and children can play with it for weeks before finding a way to crack it open. The eGo has respectable, if not stellar, performance. Its read/write speeds usually don’t run over the 20Gbps mark, which makes it average for any portable hard drive. Its capacity of 250GB is also average. Put relative to its price, which is usually around $80 dollars, it is obvious that there is some amount of premium put on this drive. But that premium can be worthwhile. While the Transcend may look more at home in the boardroom, the eGo would be a better choice if you’re tough on your portable drives. And if you’re not sold on the Camo paint job, don’t worry – more mundane colors are available. Western Digital’s internal drives are well known for their speed, but the Western Digital Elements drives are good for another reason – size and price. The Western Digital Elements drives are based on 2.5" internal drives, which means that their packaging around them is extremely small. In total, these drives aren’t any larger than a classic iPod, and they pack even more storage – up to 400 gigabytes, in fact. Combined with a price of around $90 dollars, these drives are hard to beat when it comes to portable storage capacity in a small size. The trade-off for the size and capacity is performance. The Western Digital Elements has generally be found lacking in tests, and while users reviews do not seem to be as critical about this flaw, it is worth noting that backing up large amounts of data will likely take longer with this drive than with many competitors. In addition, the drive is extremely no-frills. There is no easy backup software, no goal of durability, or any other special traits. 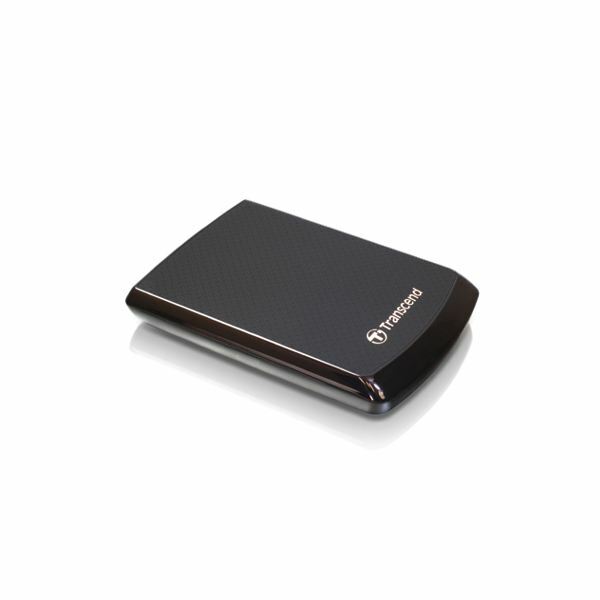 It is a well named product, as it is a truly back-to-basics portable drive. That said, if you want a lot of storage in a small footprint, this is the one to get.